This also means that Duplicity, the command line tool that powers Deja Dup supports Ubuntu One too. 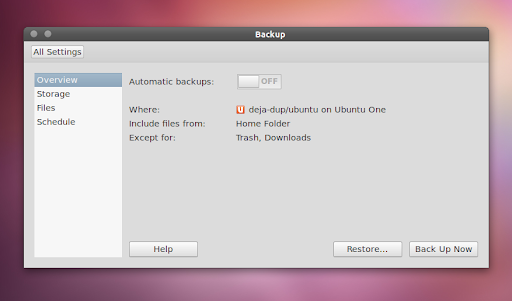 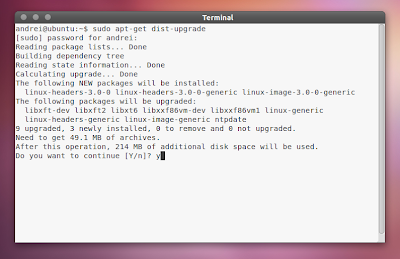 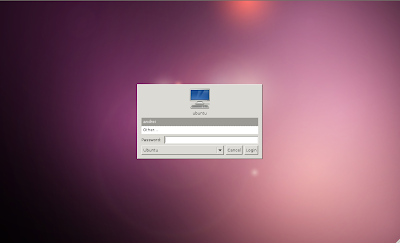 For now, Deja Dup is not yet default in Ubuntu 11.10 but this is expected to happen soon. 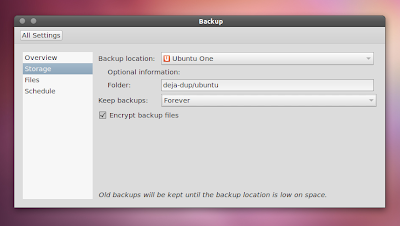 Unfortunately I couldn't test the actual backup feature because Ubuntu One (in Ubuntu 11.10) refuses to connect on my computer.